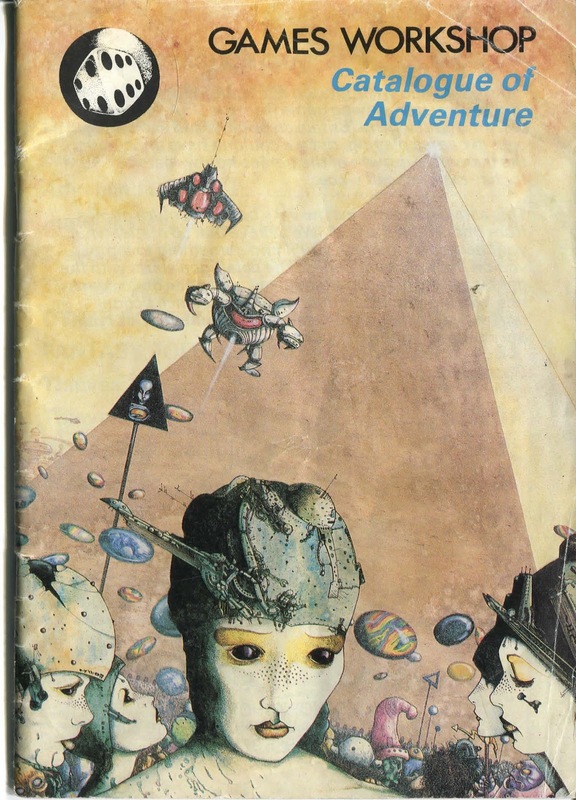 We have Timothy Brannan at The Other Side to thank for the scans, and he has lots more selections from Owl and Weasel to peruse. 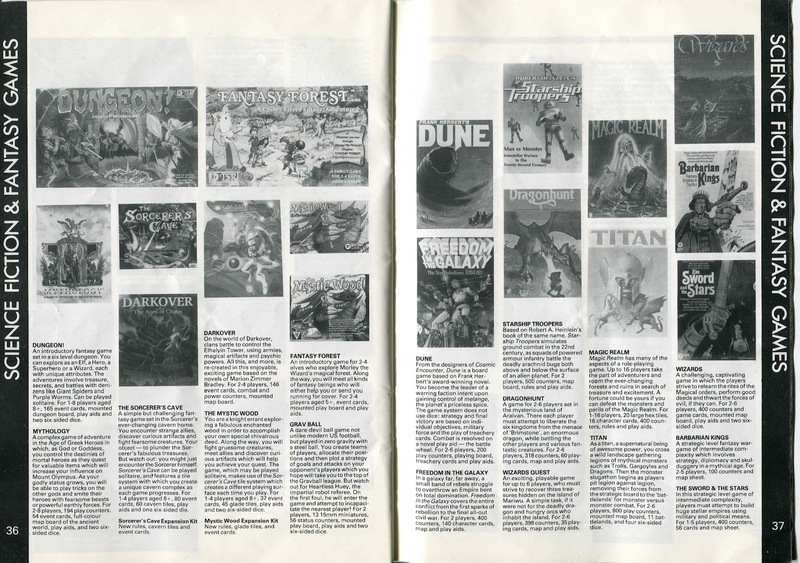 Brannan is a RPG writer who specializes in the horror genre. Check out his books here. 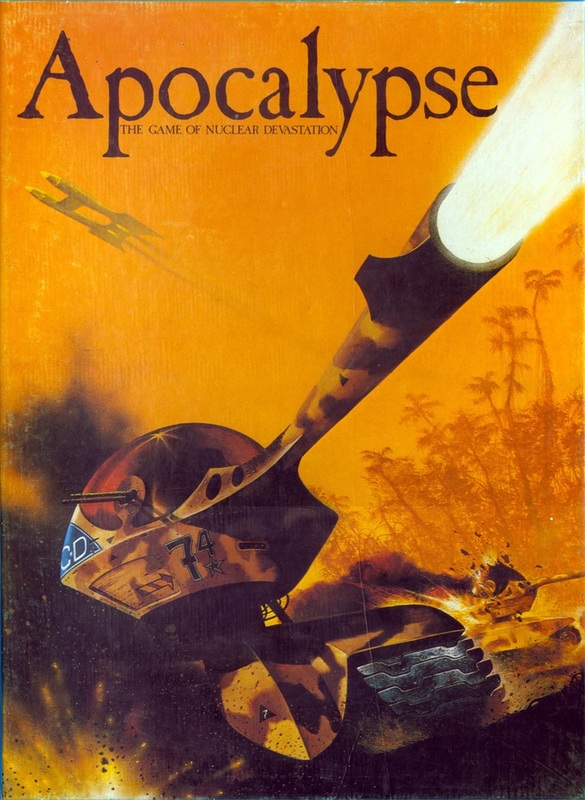 Apocalypse originally appeared as Classic Warlord, self-published by designer Mike Hayes, in 1974. 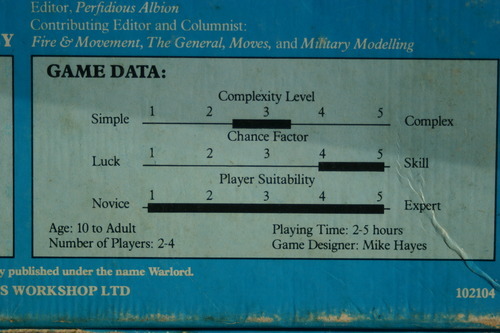 The name changed to Warlord in 1978. Both of these versions came in plain red and blue boxes, respectively. 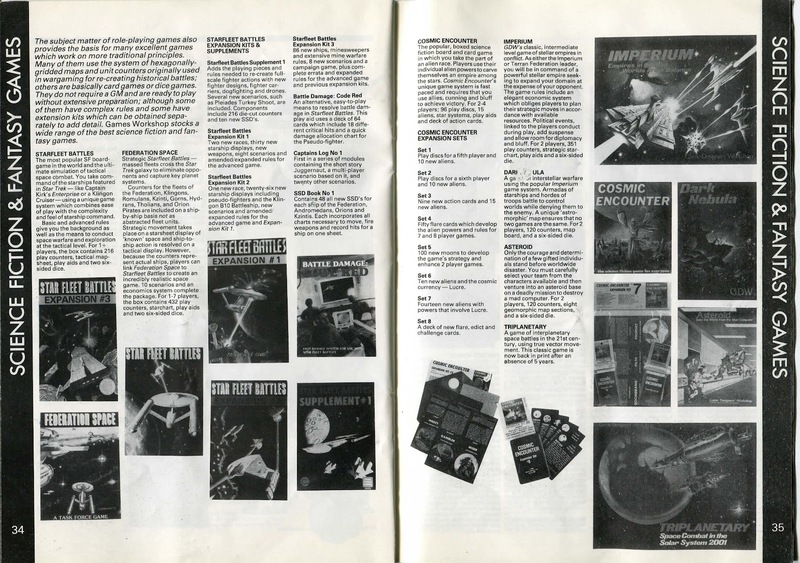 Games Workshop, displaying its usual marketing prowess, released what you see above in 1980. 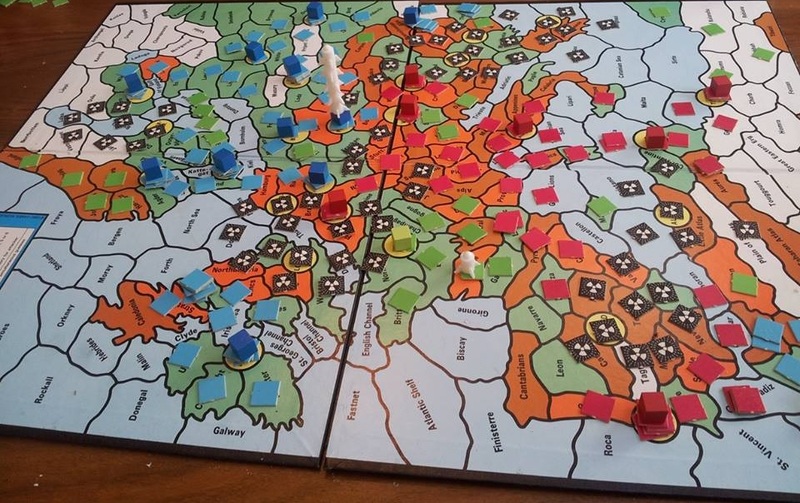 The kids ate it up, despite the fact that the game board was cut in half. 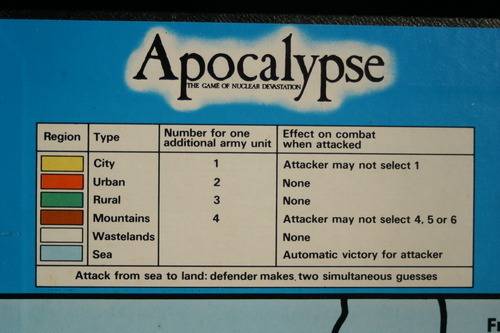 How could we resist playing out the “nuclear devastation” that grown men were on the verge of playing for real? 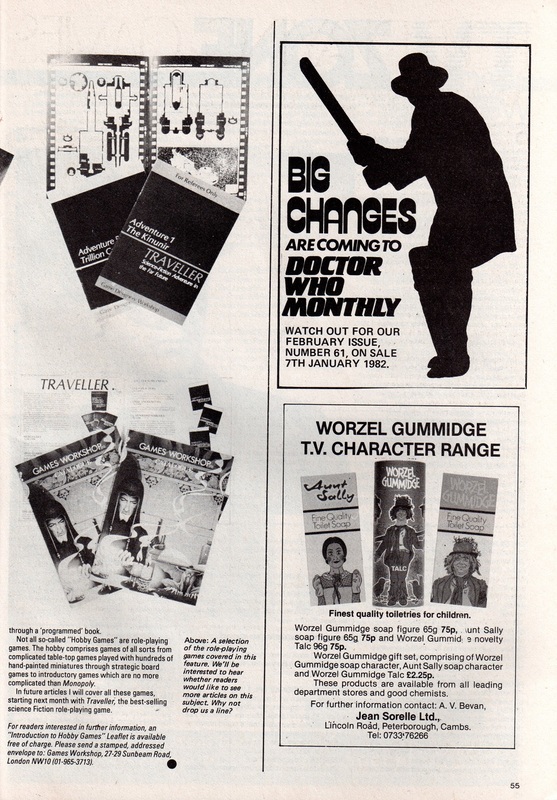 Here are some directions from the 1978 version. See if you can follow them. We were not a squeamish generation, clearly, apart from the wankers who ran out of the theater during Gremlins. Thank you, Pitch & Putt, for posting the whole catalog. It’s glorious. 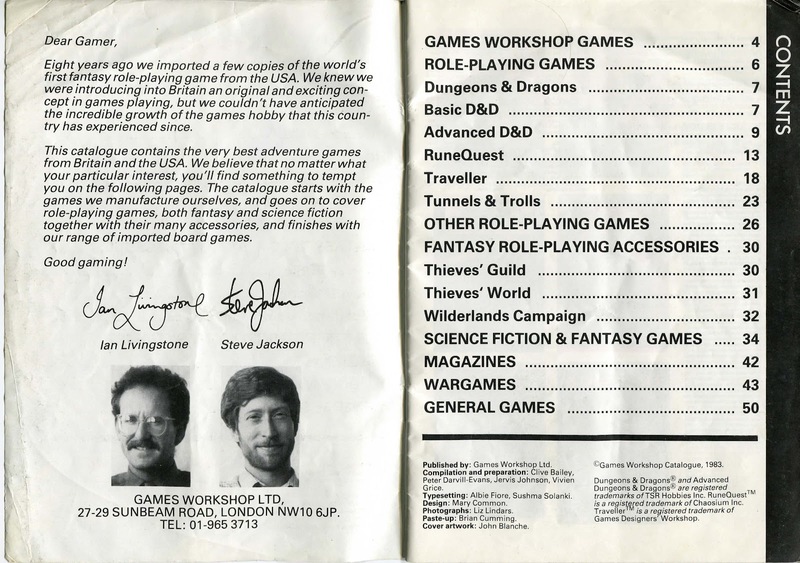 The number of role-playing games and non-traditional board games available by 1983 is incredible, as Livingstone and Jackson admit in their introductory note. 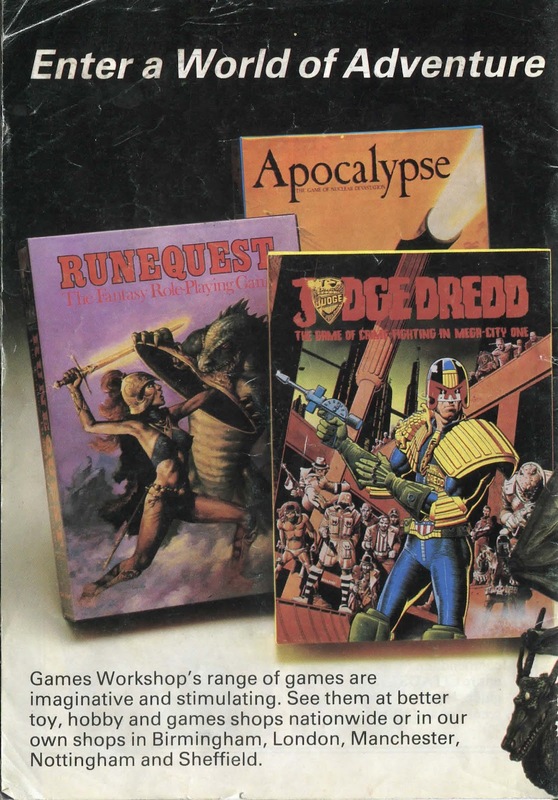 The games are based on every genre, and nearly every workable property (Judge Dredd, Dune, Starship Troopers, Watership Down, The Road Warrior). 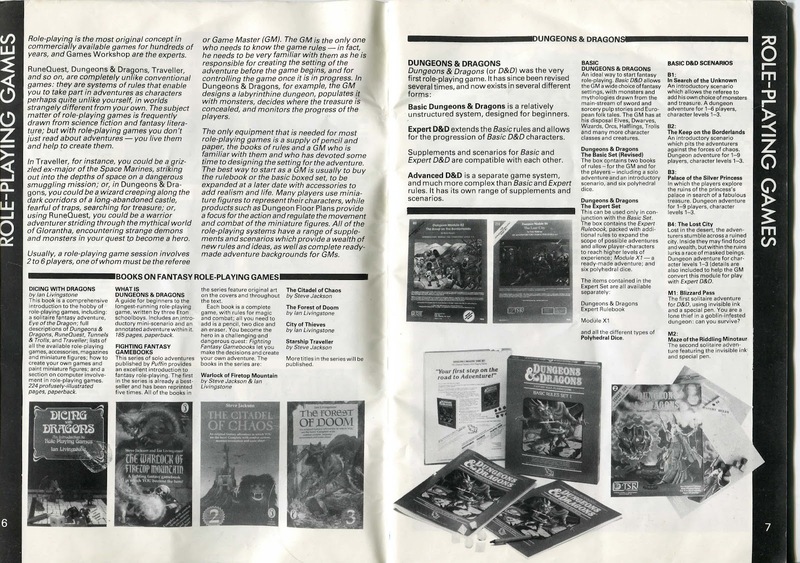 As I mentioned here, GW’s approach was much more cerebral than TSR’s. 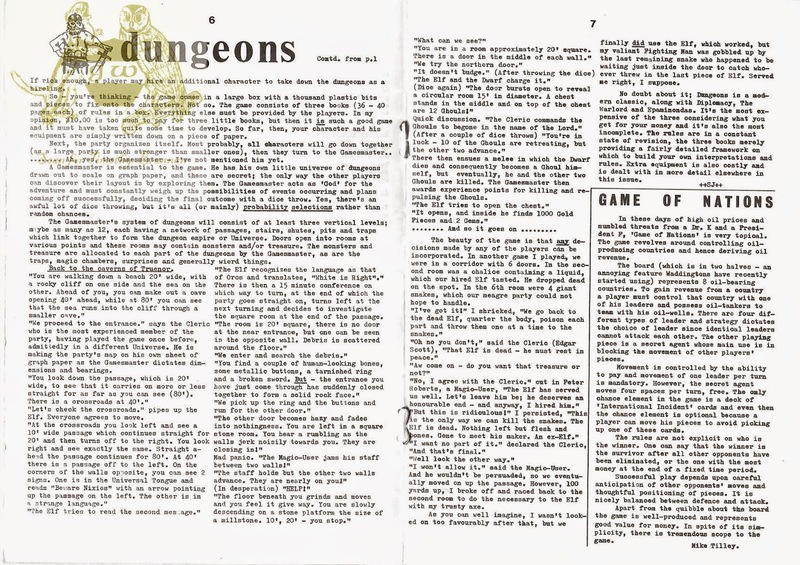 They focus on the novelty and sophistication of role-playing (“the most original concept in commercially available games for hundreds of years”), diversity of rules systems, and sheer range of game titles. 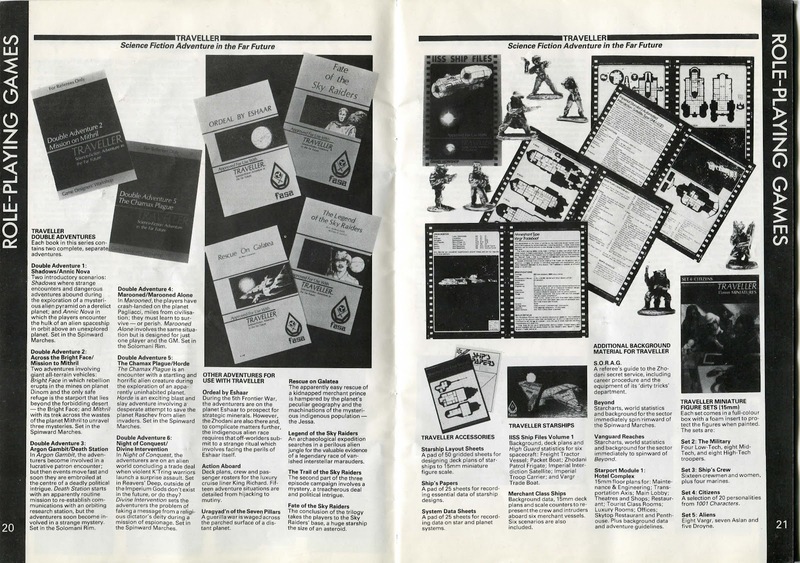 Compare the GW catalog to this 1981 TSR catalog. 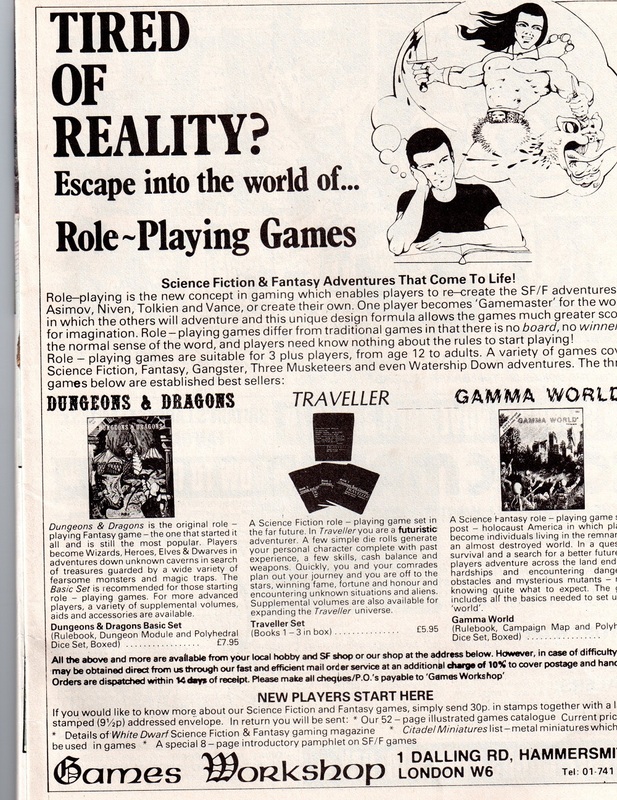 I’ve talked a little bit about TSR’s early marketing campaign in the U.S., and now, thanks to Dirk Malcolm of The Dirk Malcolm Alternative, we see how game makers won over the kids in Britain. 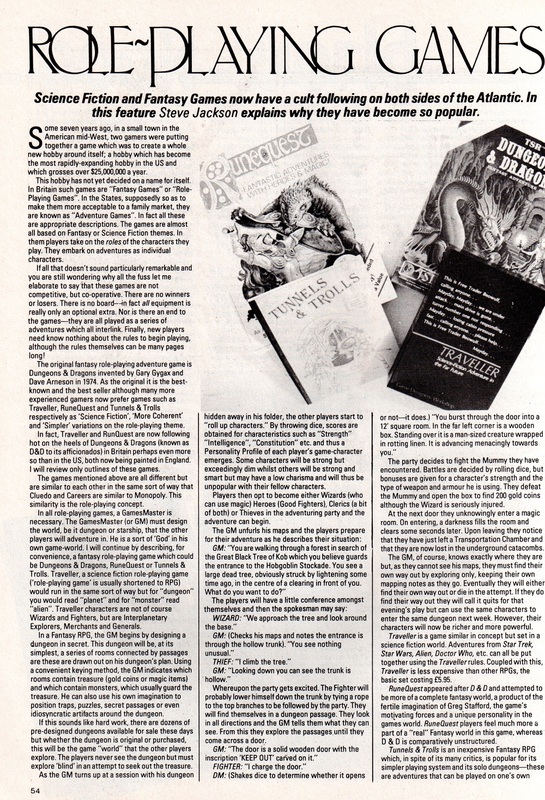 In the same Starburst, there’s an article (above) written by Steve Jackson introducing the concept of role-playing games. In his post, Starburst Memories: Tired of Reality?, Dirk talks about the impact it had on him at the time. 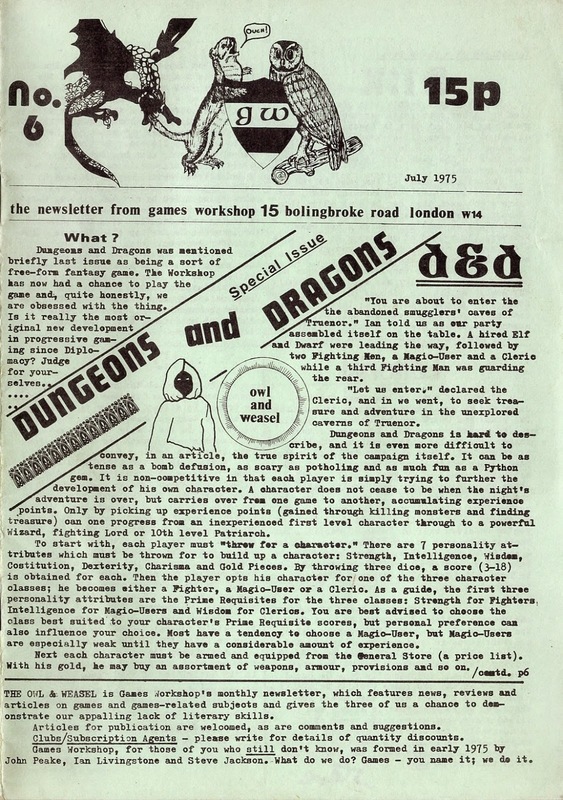 When I read this article back in 1982, everything seemed to click into place, and those mysterious games that sat in the corner of Boydell’s Toy Shop in Bolton, became a tantalizing gateway into a new world. 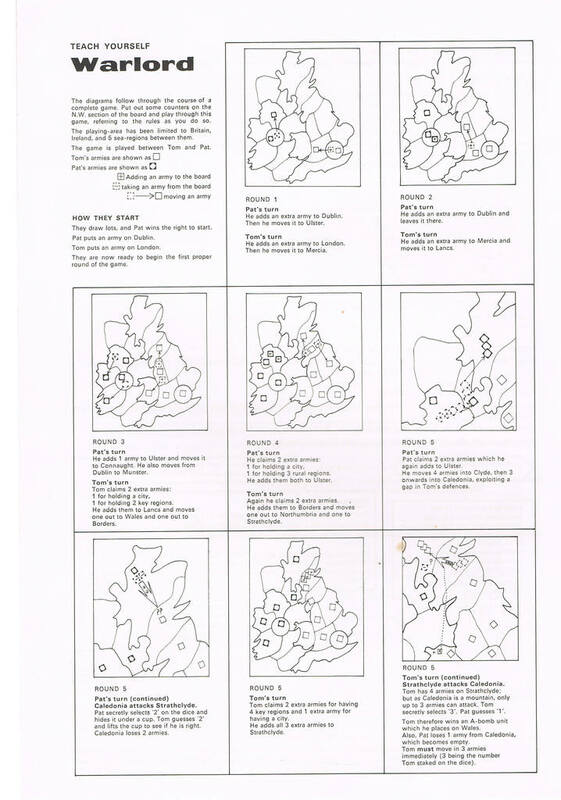 It is difficult to appreciate now how much of a conceptual leap it was to play a game that didn’t have a board. 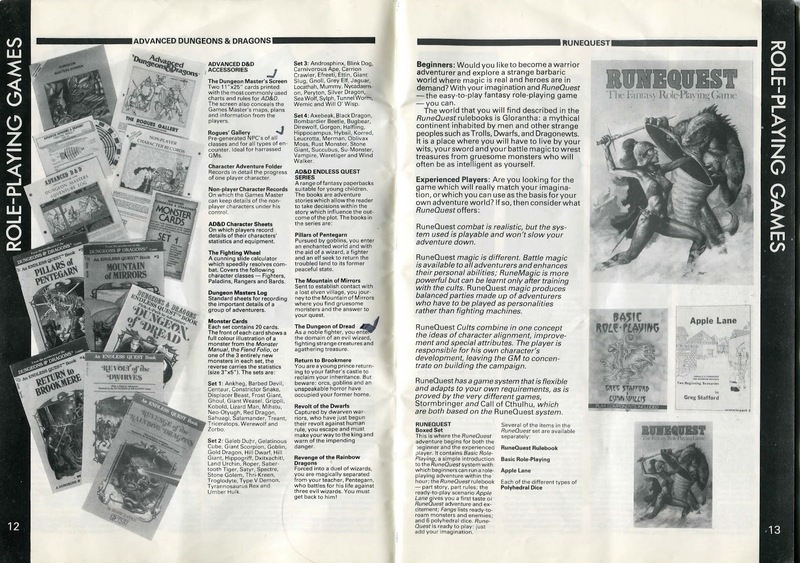 This was before Fighting Fantasy (choose your own adventure books), before Zelda, before Warhammer, before Total Warcraft and before Second Life. 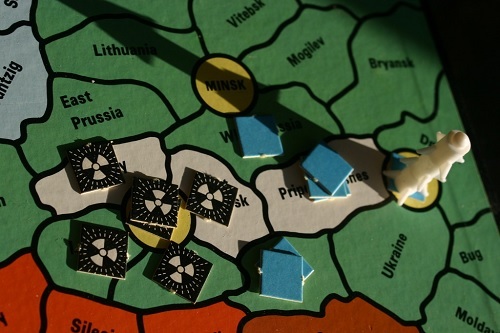 Most people are used to hypertextual narrative games, they are part of everyday life, but back in the early 1980s it took a leap of faith to move from Monopoly to playing mind-games with dice. STAY TUNED: Dirk (a.k.a. Chris) has kindly agreed to participate in my Interview with a Geek series. I’m super excited about getting a non-American perspective on living life “with funny-shaped dice,” among other things.